The year is 650 AD and you have been made Jarl of the Danish village of Ulfarrsted following the death of the previous Jarl. 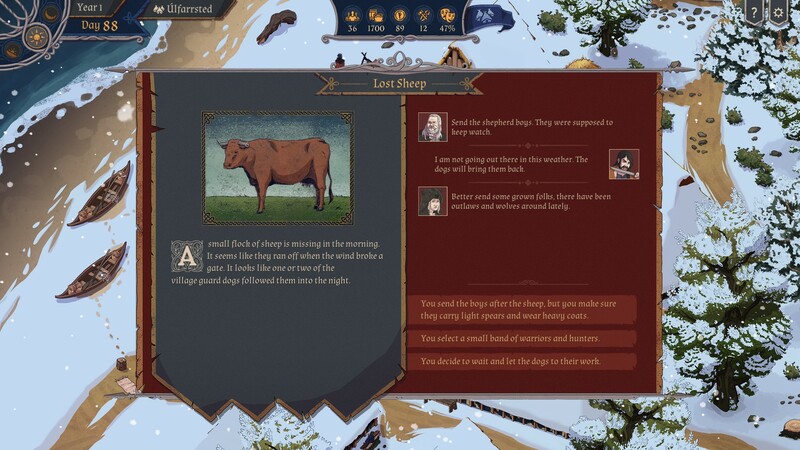 As Jarl you make sure that your village is well supplied for the winter months while leading a raiding party South in the summer months to gather more supplies and allies to protect your village. Along the way your party is beseeched by other raiders, storms, and unfriendly groups. Friends include fellow Danes and Saxons but even the Saxons can cause trouble. Journeys will take you to the land of the Saxons and Franks and beyond to new territories and cultures. 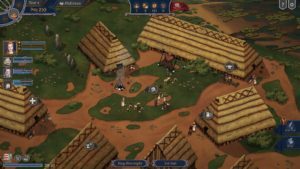 As Vikings you take it upon yourselves to raid to enrich your village but also acquire new allies while honoring the gods and your people. All along you must seek the counsel of your advisors and kinsmen, but choose wisely or end up in battle or losing loyalty with your men. 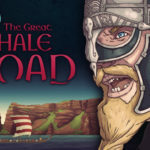 This is what the story of The Great Whale Road is about, a Viking Jarl and his/her people as they journey on summer raids while planning for the winter and protecting the people of the home village. 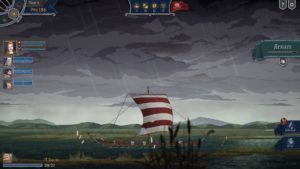 Not just a game about being a Viking or Dane but it uses the real history during the European Dark Ages to enhance the feel and look of the people and sets. 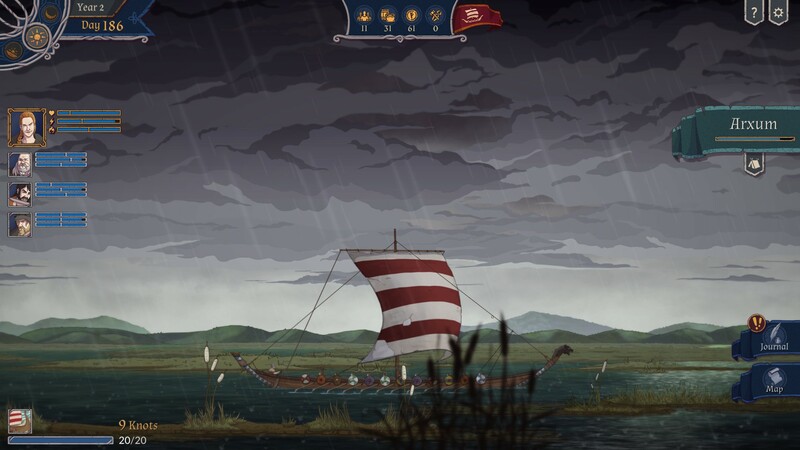 Also you get a look into Viking myth and culture, which includes making sacrifices to the gods and following the myths. Starting out the player chooses their culture, currently the game has Dane as a choice with others coming soon. As a Dane you become the Jarl or leader of your village. Only two options Bera and Floki are available to choose from. Floki can fight but prefers his lyre to the sword and Bera is the better choice, as she is the stronger fiercer Viking warrior who has led her family through many winters. Each character is associated with a combat class. For instance Bera belongs to the assault class while Floki belongs to the support class. In turn each character also gets a specific weapon type. As Bera I had an axe as a weapon type, while Floki gets a dagger. 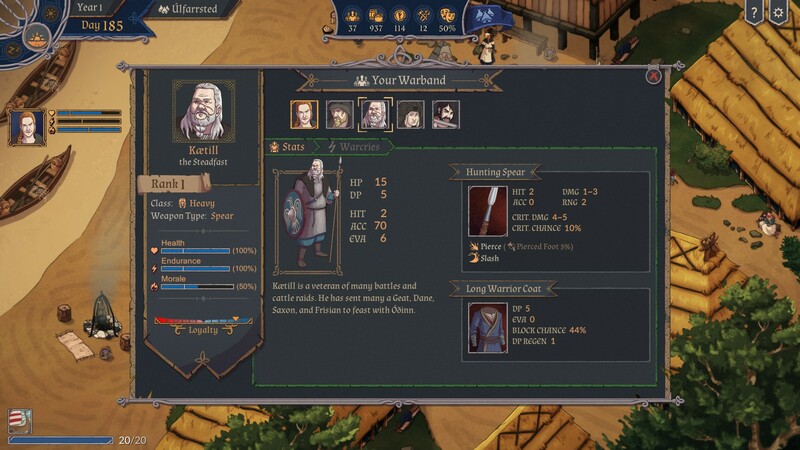 There are also heroes as heavy class with spear for example Kaetill or Hild, and assault class with sword that can cause a decent amount of damage. Players can progress their heroes by upgrading their warcries or abilities to give added bonuses in battle. Examples of warcries are ‘focus’ and ‘stand your ground’. The game plays as an RPG and turn based strategy game. 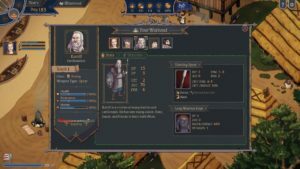 When coming to a situation, whether it is another raiding party, shipwreck, storm, hunting mission, or possible trap your warband will give advice. Your answer will influence the situation and even determine loyalty with your warriors, or lose loyalty. Choices only effect the story when they are tied to the quest and not side encounters. Though if coming across another ship or group in a village, conversation may lead to conflict and riches. 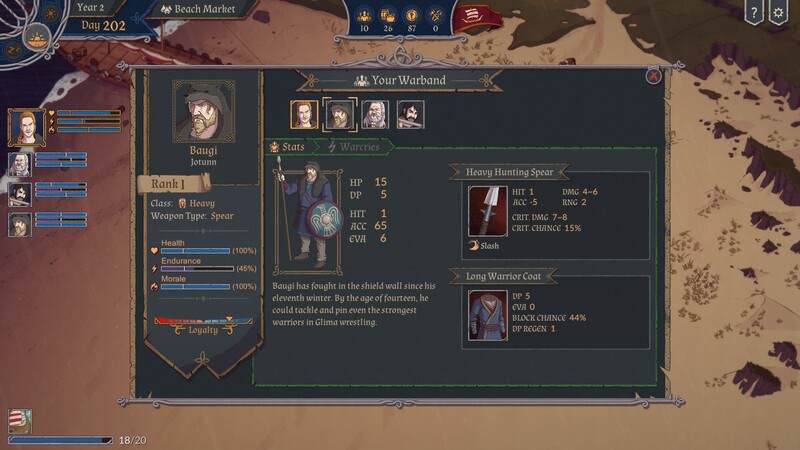 warband stats page where players can switch out equipment and upgrade. As for your warband, only four heroes can be chosen to aid you on your quest or fight with you in battle. The game hints to a larger crew but you can only interact, upgrade, or progress the four in your party during the summer journey. Once back in your village the other heroes can be upgraded and then assigned to your new quest. However, main quests require certain heroes to tag along and three others can be chosen. Hero choices are based on combat class and the need for that quest, but it’s always good to have at least one heavy and support in your party if you are Bera. More warriors come to your service after raids and during the winter. 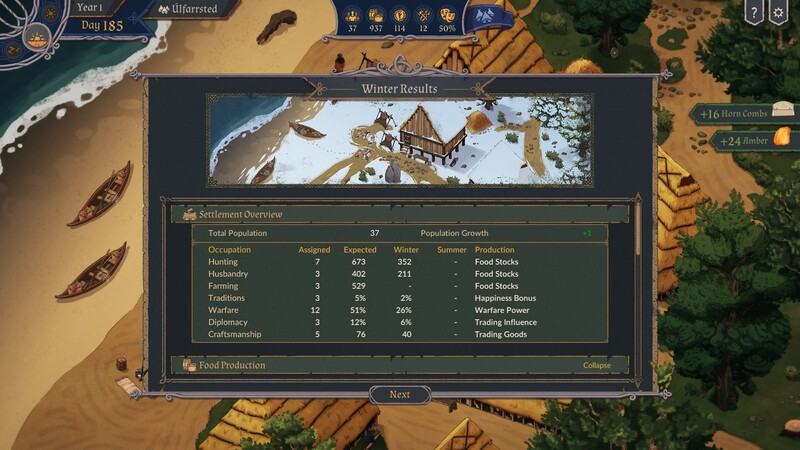 There is also a resource gathering system that allows you to prepare your village for winter by assigning people to specific areas. These areas include hunting, husbandry, farming, and craftsmanship to name a few. A total number of people available for winter planning are assigned based on the population available. Due to starvation, disease, or conflict population can be lost; this also is affected by loss during your summer journey. In addition, you can acquire goods for the journey that sustain the crew, and make needed repairs or upgrades to your ship. 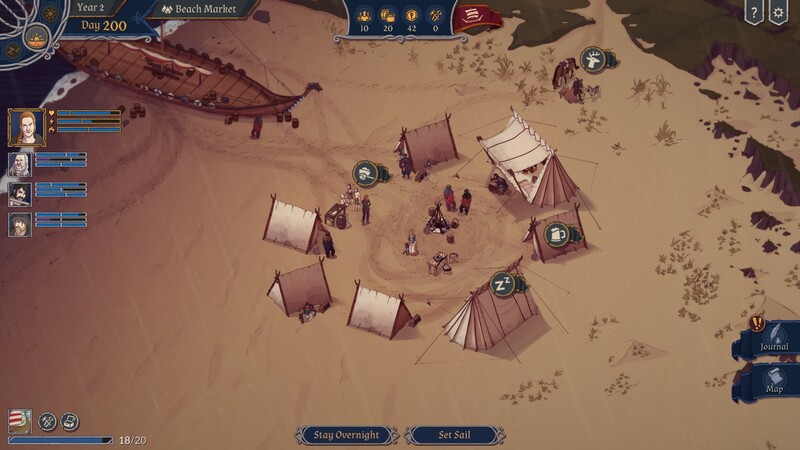 While on the sea your warband can stop at villages and camps to trade for silver and other goods. A large village with Blacksmith, Tavern, Healer, Inn, and Trader. There is also choices to repair ship and stay or continue. During the winter stay other conflicts can arise providing more resources to upgrade and progress your heroes. The winter also carries the risk of defeat, lost resources and even a fall in population. As Jarl it is your job to see to all matters regarding the village, which could just mean assigning people to take care of situations or boasting morale in the hall with drinking and poetry. Once the summer comes its off to sea and your quests. 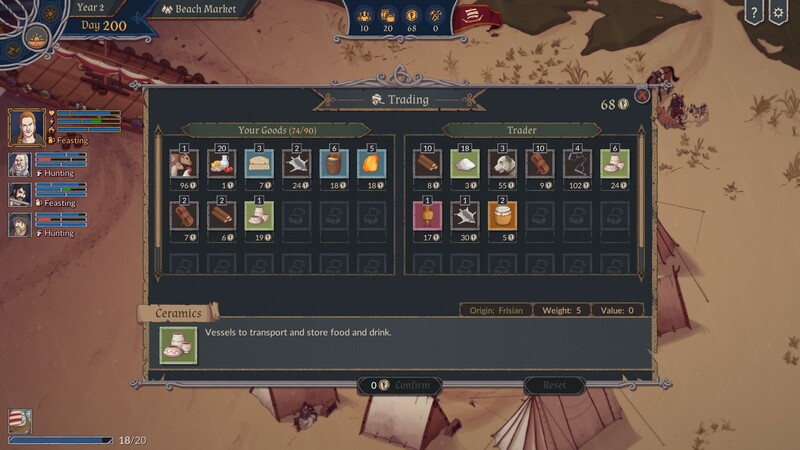 Before leaving your home village you must add heroes to the warband and load your ship with needed supplies, some are necessary like food, mead, and dogs while others can be used for trade. Once a main quest is completed you return to the village to wait for summer. During summer a player can continue with the main quest or do the side quests. 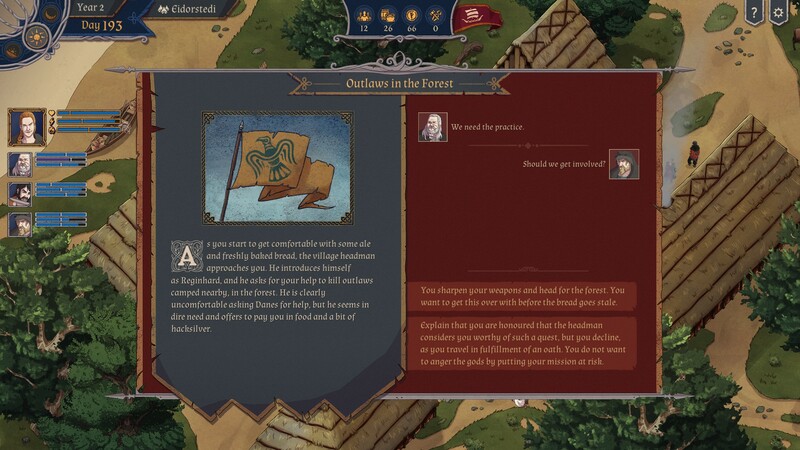 Mentioned earlier, this is a turn-based strategy game and this is evident in the combat. 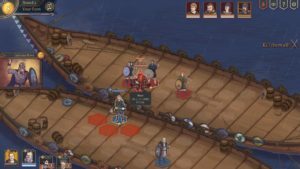 Combat in The Great Whale Road isn’t the type of combat you usually find in a strategy game. The pieces are set on a closed area and each warrior can move to a spot indicated by a green marker with red highlighting attack locations. Opponents in the red zones can be attacked. 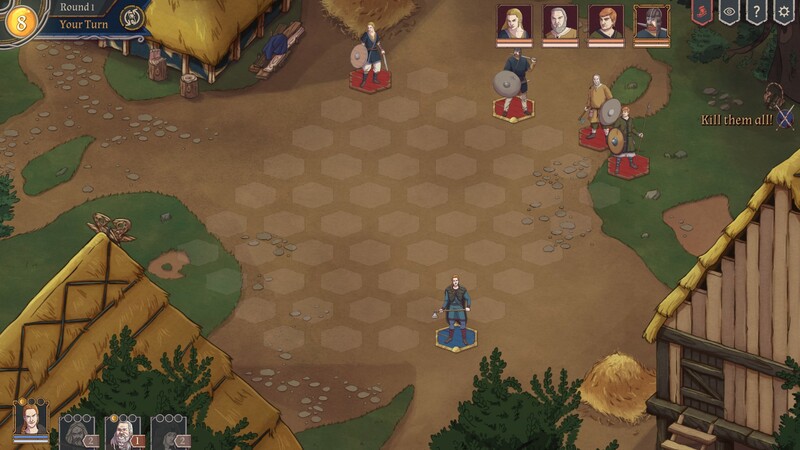 Each warrior is a 2D rendering on a base, like a tabletop board game. 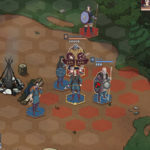 The player’s heroes can make one move and attack per turn. If an opponent is not in range you can set your warrior to waylay and they will attack the next opponent that moves into range or block attacks. 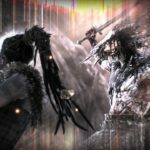 Attacks can be chosen from pierce, blunt, or slash. Class and weapons determine the amount of damage and the attack type a hero can do. For swords slash is the only available attack. Warriors also have shields that can block attacks that automatically apply and they can feign attacks. As a player you only have the ability to control movement and type of attack or set waylay. 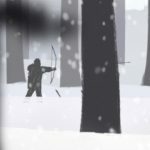 The AI takes care of the rest based on combat class and warcries. When fighting and attacking enemies there are indicators to what type of damage has occurred. Broken bone, pieced foot, bleeding, broken shield are the main damages. Those also show as little icons that appear above the affected enemy. Battles early on are easy and feel evenly matched. However, the farther you progress the tougher the battle. One problem is more enemies on the field. We are given four warriors but the opponent can have more than that and reinforcements. If you are not properly equipped, which requires large amounts of silver for the blacksmith, you are overmatched. The downside is trying to accumulate enough resources to upgrade warriors to be evenly matched with more opponents. Clicking on a player gives stats and knowing their strengths can help place them on the field properly. This works well when only the leader needs to be taken out, it’s when an entire warband with reinforcements are called that can cause problems. However, I found that having just one well equipped hero can do enough damage to gain victory over an opponent but more heavily equipped heroes give a better chance of winning. 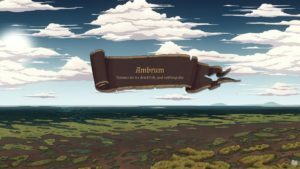 As for battles, they get to take place on land and ships, each setting looks different with consecutive battles depending on the village or location. Ship to ship combat is the same but there is not much that can change. Villages do have a different look to them and a change in lighting or vegetation can make a difference. 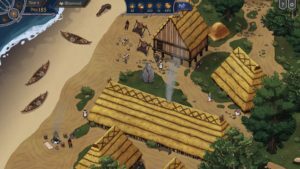 It may feel to the player that the game looks the same and villages small but it is set in the Dark Ages where we don’t find very diverse architectural styles. The Danes will have slightly different styles from the Franks, though this game doesn’t show that well. Architecture is generic but changing little details make differences. Stopping at villages are important when at sea for days. During your journey food is consumed, and you need to replenish not only supplies but also endurance and health. If you don’t then your people can starve and lose morale. Stopping along the way can benefit everyone. At larger villages taverns, halls, healers, blacksmiths, and traders can be found to upgrade weaponry, replenish health and endurance, and add to your ship’s supplies. There is also the option to go on a hunt to gather food and pelts. If you have tools repairing ships are an option. Camps are smaller and allow only for rest and hunting. 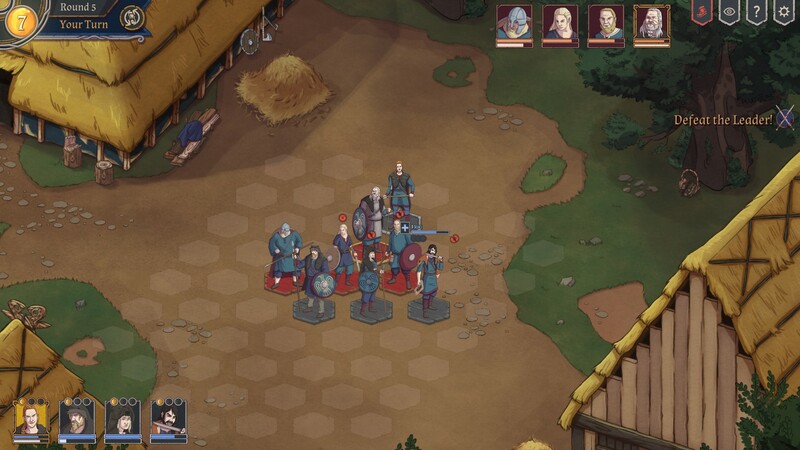 Sometimes Villages offer dialogue choices and can result in more silver or having to go against another war party. Village stays don’t have a required stay and players can stay as long as they need or at least until food and silver run out. Therefore its best to move on after a short stay to continue with quests. While at sea you can also order your warband to raid villages. 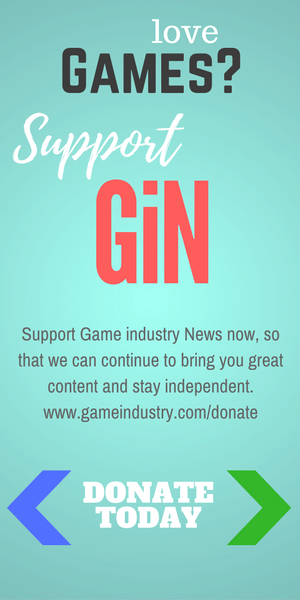 The game isn’t just traveling, fighting, and questing, but gathering resources and adding to your personal story. This is where we get to the biggest issue I had in the game. So far it’s a fun and entertaining game with interesting and challenging turn based battles where heroes are moved around like chess pieces. However, the game can become repetitive. During battles players are pitted against the same opponents battle after battle wearing only different clothes. 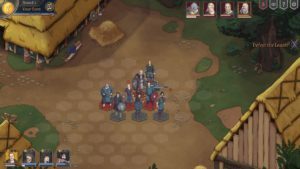 They will throw in or swap out a different player for some diversity but the fighting can become tedious with the same attack and move choices. Different heroes bring in some extra motivation and the different locations and number of opponents is a bonus but the game is repetitive. Dialogue is also the same each journey. When hunting I get the same dialogues about leeches or a person coming behind you. While at sea its dialogue about rats on board, fighting amongst the crew, a storm, and coming across the same shipwreck every time. For those I tend to try different choices with consequences. 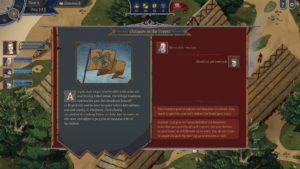 Different and unique story driven dialogue occurs at the quest marker and back at your home village. Quests also add new heroes and unexpected outcomes. 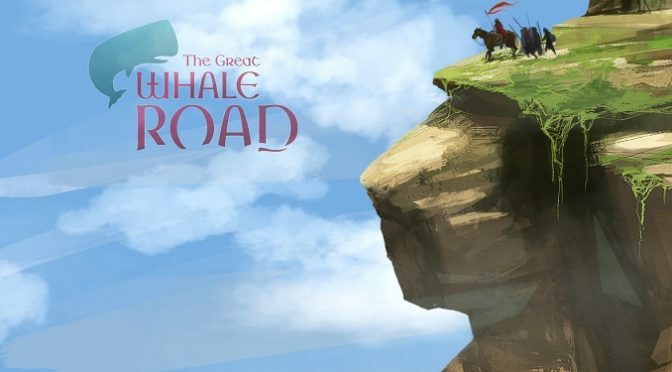 The Great Whale Road is not an open world game that can be explored. It is linear with each journey set on a specific course that ends with the quest. Each year has only two seasons winter and summer but they are the two important seasons for the Vikings. Winter is for planning and summer for raids. The interaction in the gameplay comes from only dialogue and fighting. However, it is not completely static and has some animation in the art. For example the boats have moving oars and sails move with the wind. Rain falls while at sea when a storm comes in and the lighting changes from day to night. 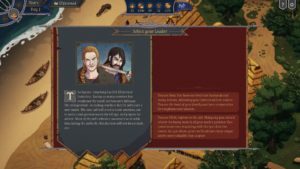 After playing the game through many years, raids, and quests, I conclude it is a fun and quite historically and culturally accurate tabletop RPG and turn based strategy game that has potential to grow into a fantastic game. The only real problems are the repetitive nature of the journeys, fights, and dialogue with homogeneous opponents. Every battle was competing against the same opponent models. Still I liked the creativity on the character designs and as movable board pieces. That made it very medieval like. The game picks up at quest dialogue so there are good points to playing despite the low points. 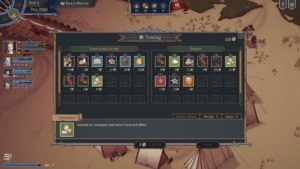 Overall The Great Whale Road is a decent game with unique characters and dialogue. Previous PostManga Monday: Golden Kamui by Noda SatoruNext PostFooty or Overwatch: Why is the AFL Interested in eSports?